He is young, determined and passionate about farming. 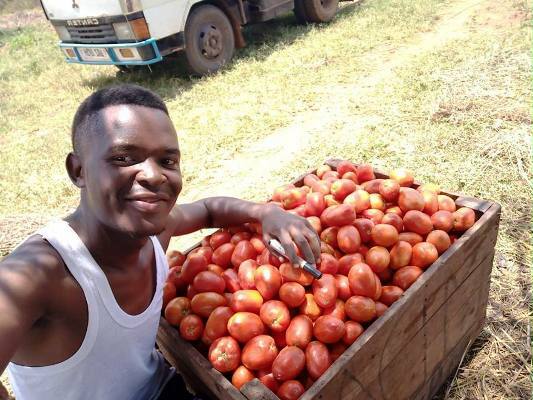 The youthful farmer is popular on social media due to his inspiring posts accompanied by photos about the various farming enterprises he is engaged in. 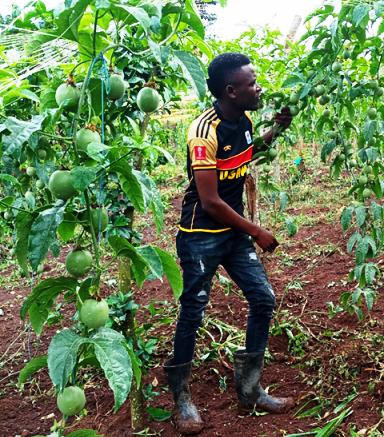 Brian Babeyo, 24, is changing the face of farming in Uganda. He doesn’t have a professional background in farming, but his passion and the way he does things is unrivaled. A fresh graduate from Makerere University with a Bachelor’s degree in Science in Quantitative Economics, Babeyo is the founder and the Chief Executive Officer (CEO) of Seed Africa. Ent. Ltd, a company he founded in 2014. His company is currently dealing in five agribusiness ventures including passion fruits, vanilla, tomatoes, green paper and watermelon. These are grown in different locations across the country including Mukono (Katosi, Kisowera), Jinja, Buyende and Mayuge districts. These projects are on rented land. Born in Jinja district, Babeyo says he was raised in a middle income family, with both parents earning a living from farming. However, Babeyo didn’t want to follow in his parents’ footsteps. During his senior six vacation, he took on the streets of Kampala, trying to find what to do for survival. He didn’t succeed. As he was planning to go back to Jinja, a friend tipped him about a farming seminar that was happening at Nsambya Sharing Hall. He decided to attend the seminar that would later turn to be his turning point in life. “I attended more seminars. These [seminars] really changed my thoughts and perceptions about agriculture as a business,” Babeyo told Business Focus in an exclusive interview. 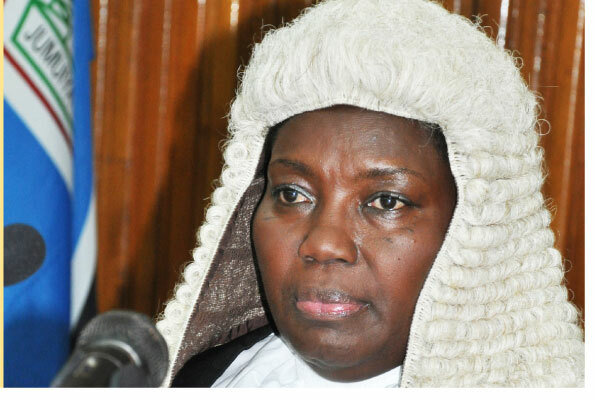 He says he started with an initial capital of Shs600, 000 which he raised from his friends and his uncle, a one Paul. 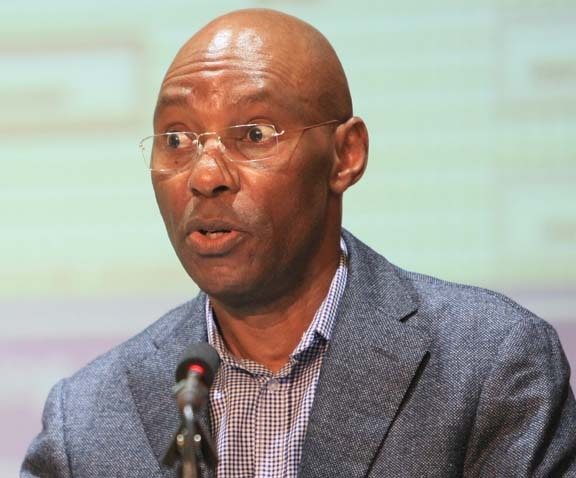 In a space of about four years, his company has grown to have a net worth of over Shs50m. He explains that he incurs a monthly expenditure of not less than Shs3.5m on chemicals, fuel, feeding and salaries for the workers. 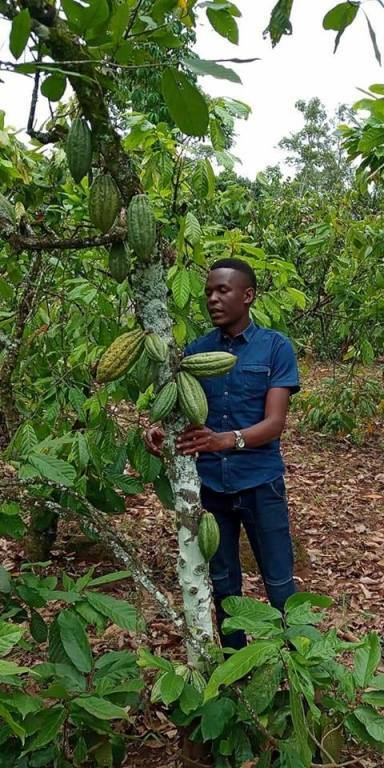 Babeyo says apart from growing his company from almost scratch, he is happy to employ fellow youth and play a part in changing people’s mindset towards farming. He adds that he has also acquired a motor vehicle to help him ease transportation and other farm activities. 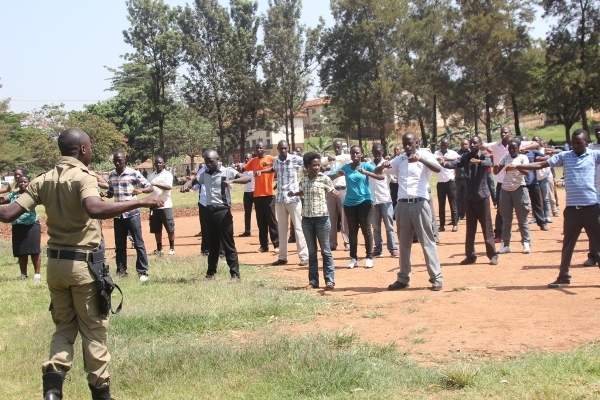 “I have managed to initiate more other businesses around Kampala (clothes). I have also started a dairy farm which is progressing well,” he says. Although Babeyo is guarded about his earnings, he is no doubt earning big. “My earnings vary with seasons because my ventures are seasonal,” he says. He adds that his company has all inputs of all the projects they have ventured into right from seeds, seedlings and well trained labour. 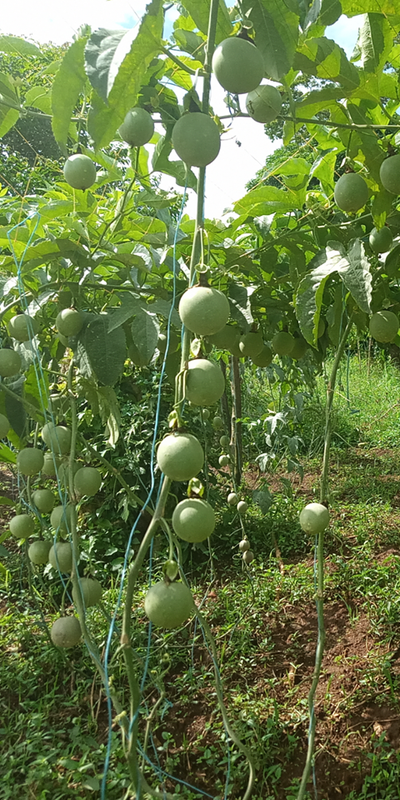 “Our passion fruit seedlings are document oriented with proven productivity, life span, germination efficiency and disease resistance,” he says, adding that they also offer consultancy services in agribusiness. Like any other farmer, Babeyo isn’t immune to challenges. Currently, he still rents land in various areas which is quite expensive. “Sometimes people that rent us the land, reach a time and get jealous of our harvests,” he says. He adds that dry seasons are still a challenge, but he tries to go through it by applying fertilizers and watering/irrigation where necessary. He adds that price fluctuation is yet another challenge. 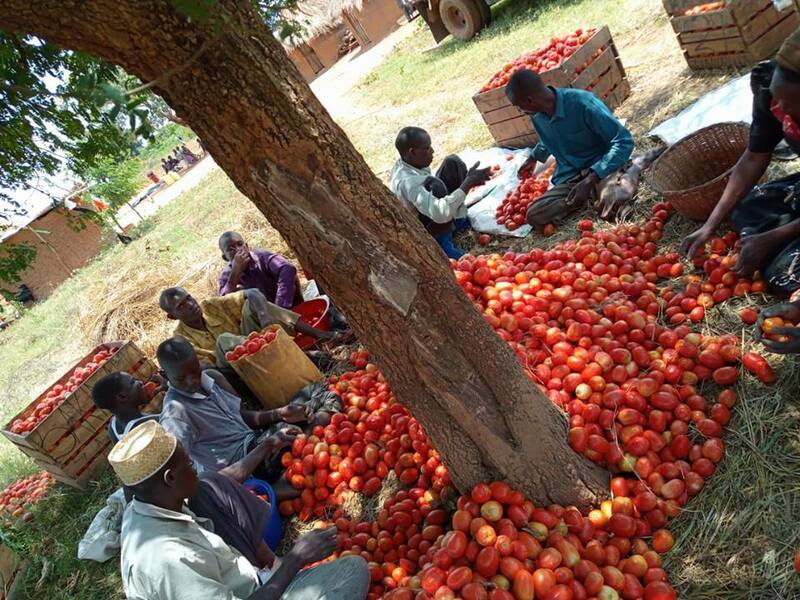 “I have a network of brokers in Owino, who always inform me about market prices. 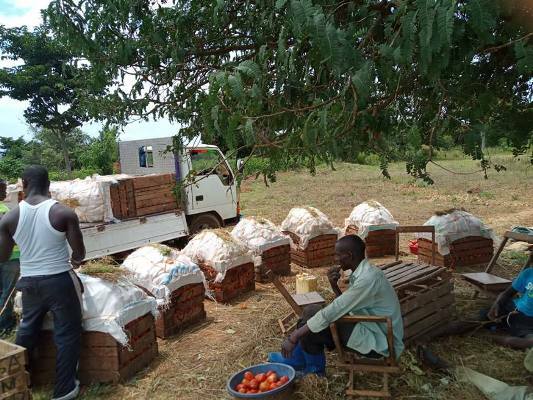 For tomatoes, I always approach the market with a maximum of 20 boxes,” he says. Babeyo advises his fellow youth to be go getters. “Everyone can be successful in any field he or she chooses to specialize in. I think agriculture is the only way to go and anyone can start from wherever they are,” he says. To succeed in agribusiness, he says, requires determination, self-belief and sacrifice. He insists it’s not about capital. Wonderful and enterprising Mr Babeyo. I would like to know the price of one sack of passion fruits?